Where does all the money go? Here's your chance to find out! 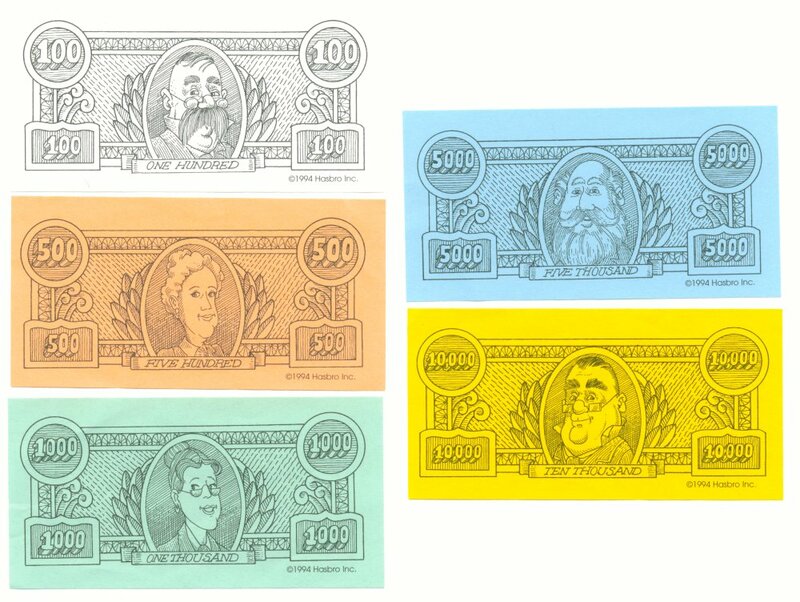 Play the classic family game that makes family finances fun as it reminds everybody just where the money goes. It goes to Dr. I. M. Blurd for your new eyeglasses. And to your neighbor, for giving your nine kids piano lessons. Can't pay? Then go to the Bank for a loan! Moving through the 31 days, something happens every day. It could be another bill in the mail, or you could make a big profit on a deal at the Yard Sale. You might even hit the Jackpot and pick up a bundle. And at the end of every month, you do get paid! Play as many months as you want. At the end, pay off all your bills, pay off all your loans, and figure out how much money you have left. If you've got the most, you win! Payday is the classic game of making and spending money! Buy groceries, fix the car, pay the doctor, start a business, and see just how much fun managing household finances can be. You'll make money every month, but you might spend it just as fast! The action takes place on a calendar playing board where something happens every day, just like real life. You may go on a family fun day, participate in a charity walk, or celebrate your birthday. You'll receive all sorts of mail - some good (postcards), and some not so good (bills). You'll get the chance to make money on deals, and you might even get rich by playing the lottery! Play as many months as you want, and pay off all your bills and loans at the end to see how much cash you have left. The player with the most money wins! 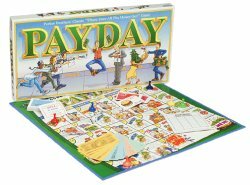 Payday Rules – Rules to the game of Payday, as reprinted from a 1994 edition of the game. From the excellent Game Cabinet Rules site. 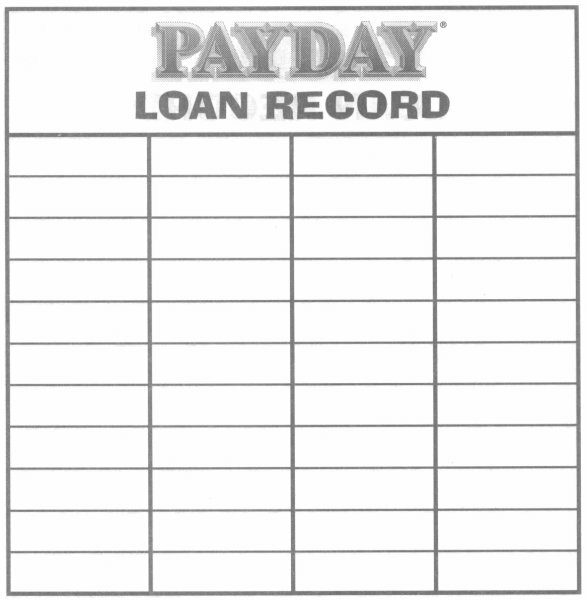 Payday Loan Record Sheet – If you need new "loan record" sheets, click on the image below for a full-sized version that you can print out and make copies of. There's also some Payday money.